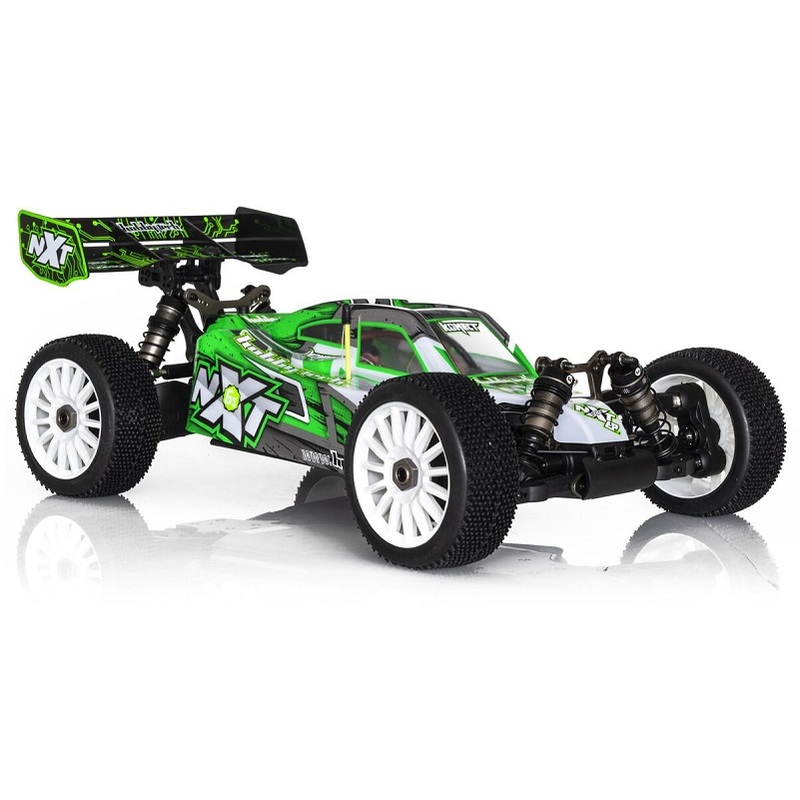 Spirit NXT EP is a 4WD 1/8th Brushless RTR "Ready to Roll" buggy designed and developed in France, manufactured on the latest HOBBYTECH competition buggy platform. Equipped with economical and ecological propulsion capable of extraordinary power to bring you maximum pleasure and thrills. All the experience and know-how of the Team Hobbytech competition team are grouped on this model capable of moving from a relaxing leisure practice to pure racing competition. The new AV "ball" train is one of the most remarkable novelties and very rare on a RTR model. Exceptional road holding on all types of terrain thanks to the four large 16 mm diameter shock absorbers. • 150Amp KONECT controller "by HOBBYWING"
• Body painted and decorated "by BittyDesign"